Would you like to visit Wonderla Amusement park in Kerala? Wonderla Amusement is one of the best tourist places in Kerala. Do you want to know more details about Wonderla Amusement park? Read here about details, attraction spots and facilities of Wonderla Amusement park. Munnar is located in Kerala which is also known as the Kashmir of South which is very much famous and most fascinating and everything in Munnar is captured from our eyes. The climate plays the most important role in Munnar. It is located 1600 m above from sea level; this was once the summer resort of the erstwhile British government in South India. Munnar gives you a heavenly feel which makes us very relaxed because it is fully surrounded by plantations. The nearby mountains present a spectacular view. There are also some waterfalls, trekking paths for adventurous traveler. Another thing around Munnar is the Amusement park which is most likely by every stage of people. 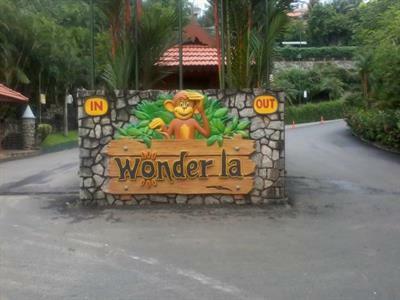 Wonderla is the amusement park located in Munnar. Wonderla has 53 land water based rides. The park features a wide variety of attractions including some rides, water rides, a musical fountain and laser shows which is reality shows. Wonderla has a full-fledged riddance floor with a twist electrically controlled rain showers. Wonderla also has attracting points for children’s to the extent and these are gentle yet unusual for free fall rides. It uses solar heated water for all its pools during winter. Wonderla features conference facilities for up to 1000 persons and features 5 restaurants with a total seating capacity of 1150.it also comes with locker system First aid and Paging system also available. Wonderla is one of the only 2 amusement parks in India to implement OHSAS 18001:2007 safety standards all attractions and components are maintained accordingly to be at great standards provided to be a safety measure. Almost every ride is maintained with more safety and water processes are recycled every now and then. The park has a water quality control laboratory to monitor quality levels used for different purposes. The Wonderla comes with more plantations of about 2000 to keep it an eco friendly and also the park comes with the Rain water Harvesting system also maintained with special care with purified with recycling and serves a s drinking water and also uses solar energy extensively to heat waters in pools and kitchens. Woderla has two R and D assembling units located in Bangalore and Cochin. Among the various Rides manufactured in house R&D team. Among all the rides Wonder Splash is the best and most likely by children’s and parents and by all. R&D has more than 100 technicians who are the main pillars for this theme park. Wonderla is also concentrating on developing exports markets in Asia and Africa. Wonderla is the manufacturers of the Sky wheel. Wonderla Holidays also owns and runs the Popular Veegaland amusement park in Kochi which was rebranded as Wonderla which is situated at the top of the hill Pallikara.13 Kilometers from the city of Cochin. The Park was getting in to this setup at 2000 which was built by Joseph John. Wonderla Is getting into the process of setting worldwide and it is going to be set in Chennai and Hyderabad.